Going into this semester I have one goal as my team’s producer: ship the game. With this responsibility comes the assumption of selling the game once it’s released. Thus, this is a perfect opportunity for me to manage a marketing campaign for a video game title. My goal is to generate as much hype about Celestialpod as I can before the end of the semester, and to help towards that this week I focused on setting up a plan. There are a couple things I believe are important for me to succeed: a set schedule, quality content, and ease of information. Out of all three, setting up a schedule to post was probably what I found to be the easiest. I merely created a weekly schedule with specific dates on when to post on certain sites. In this regard I will also be using a management tool to manage all my social media posts from one place: MailChimp. I began using MailChimp last semester during QA to start building an Email Subscriber base. To this date we’ve got over 60 people signed up for emails. A handy feature to this program is also connecting social media outlets such as Facebook and Twitter. Along with the analytical tools available, I’ll be able to effectively manage my content to assure its quality. In terms of content, when doing research, I found many indie developers merely posted updates about the progress of development. New features, new enemies, etc. However, I feel like for this type of marketing to be remotely successful it needs to already have an established interested community. Without such an interest people are much less likely to care about the content, so I can’t follow that model exactly. I can, and will, have content updates but first I need to merely gain interest. My main idea for generating this is highlighting current features. Perhaps a gif of a squid falling showcasing the game is physics based. Maybe a gif of a squid using their tentacles to leap around a level. 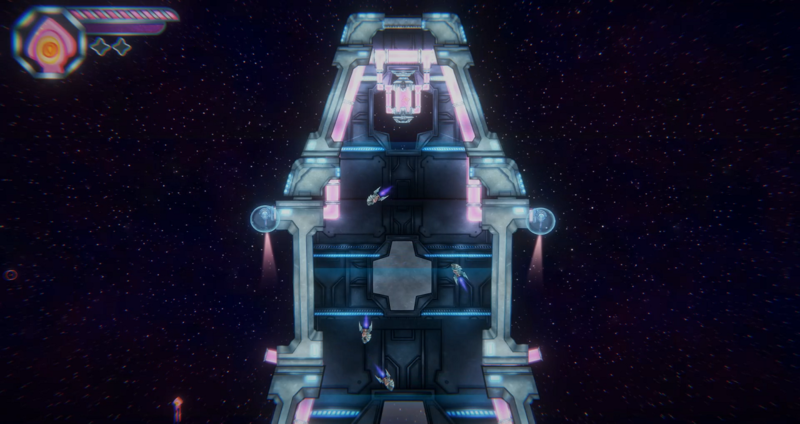 Showing off the destructible environments of the ships, and potentially them self-destructing at the end. I want to use the current mechanics to generate hype and spread information about the game. That information also needs to be easily accessed. When people get interested in our game they need to be able to find out all the available information quickly. If they can’t, there’s a serious risk of us losing them as a potential customer. For this I need a way to congregate all the information in one place that I can point them to: a website. I know this task will take a long time and so will have to dedicate one, or two, sprints solely to that. However, that website should be able to tell people what the game is about, how they can stay up to date, provide material if they want to cover it, and provide them a sneak peak at our development process. I’m only just beginning my journey down this process and am excited to see where it leads. All I’m looking for is more than 0 sales on launch.